Mining Rock Boring Bit & Rod. Mining Rock Boring Bit & Rod. Made from Iron and Tungsten. Size 6′ foot long boring rod, bit size 3″ x 1 3/4″ inches. 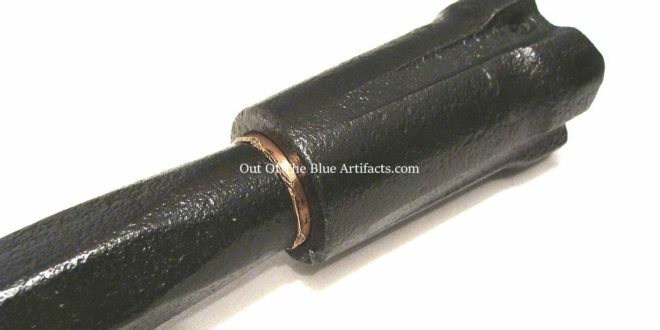 This Bit is made from Iron and Tungsten with an internal Copper sleeve and holes for water infusion. 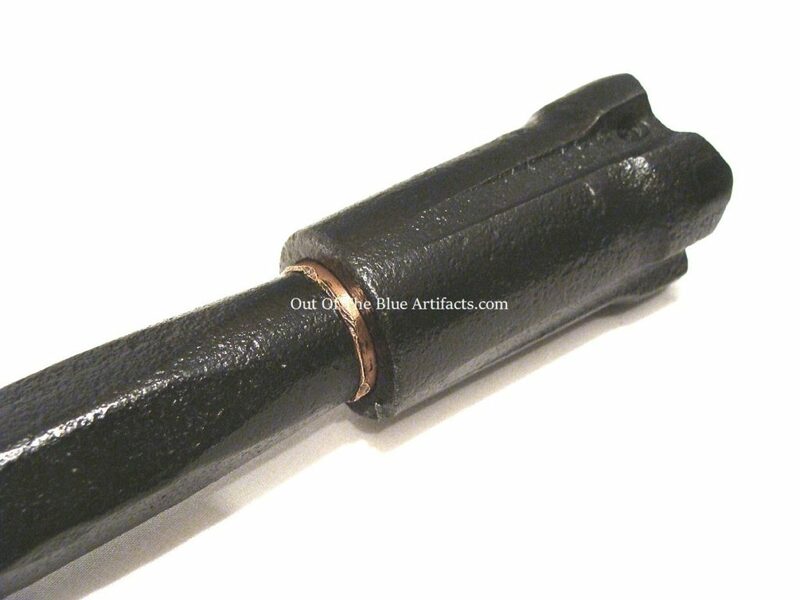 This is the common type used in all mines where the Bit is just knocked onto the rod which has a slightly tapered end, when the Bit gets blunt it’s knocked off and easily replaced. This image shows it slotted onto the end of the boring rod, the bit has a copper sleeve (as seen in the featured image above) to prevent the rod and bit from rubbing together and causing sparks through friction. 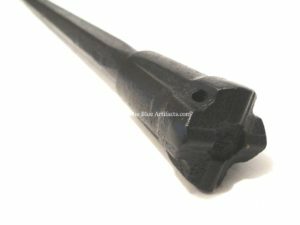 I have Black waxed the drill to keep it from rusting.